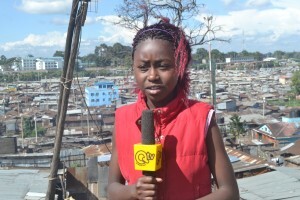 (CNN) The Mathare network of slums is perhaps the most notorious in Nairobi. Boasting a population of 500,000 — jammed into roughly half a square mile — Mathare is the second-largest slum in the Kenyan capital, and infamously tough. Marked by widespread poverty, unemployment and a high crime rate, it’s not the easiest place for children to grow up, though many do. It is also not an easy place to get an education, as school fees are a luxury many families in Mathare cannot afford. 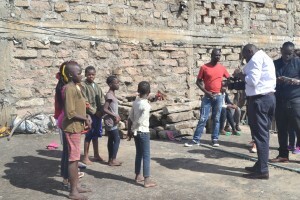 Eric Omwanda, co-founder of the Mathare Foundation, is hoping to change that. Himself a Mathare native, Omwanda understands the challenges faced by those who call the slum home. 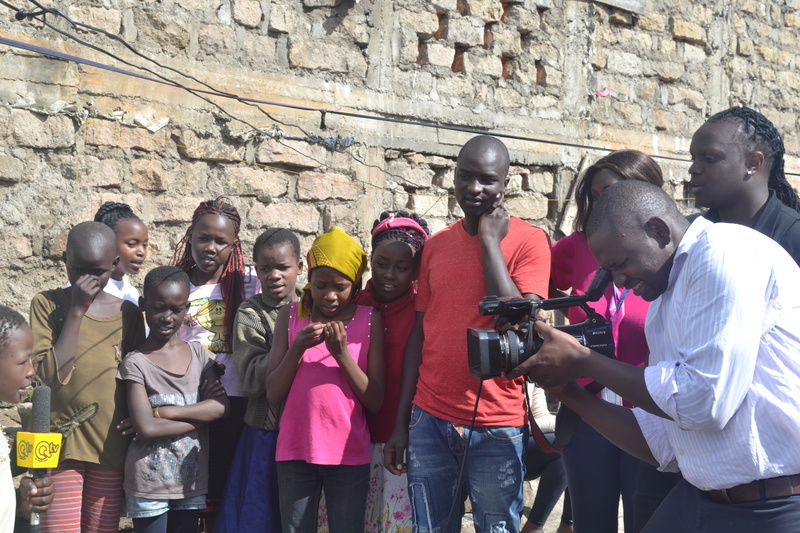 As one of the slum’s success stories (he earns a living as a freelance photographer and football coach), he is working with some of Mathare’s youth to teach him a skill that has brought him endless inspiration: photography. “I feel a connection with the kids,” notes Omwanda, who was a 2015 finalist for Commonwealth Africa Region Youth Worker of the Year. 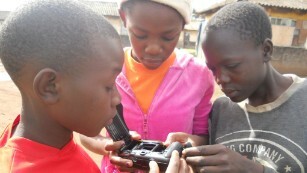 With a handful of volunteers, Omwanda provides local children with cameras and teaches them the basics of photography. 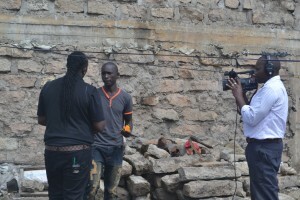 His students depict their home with a mix of tenderness and criticism, showcasing both what is good and bad about Mathare. Mainly, notes Omwanda, the photos demonstrate and exceptional use of skill. Some of the photos reflect the use of ‘Chang’aa’ — a notorious homemade brew — in the slum, with users passed out cold in the mud. While this is not reflective of all of Mathare, notes Omwanda, Chang’aa and its harmful effects can certainly be found in certain areas. Other shots are more cheerful, showing siblings embracing, or kids enjoying a game of soccer. The program has already generated its own success stories. 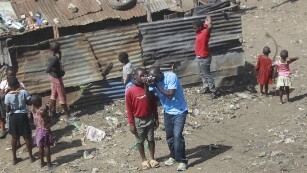 In 2014, the Mathare Foundation collaborated with Canon, which donated 30 digital cameras. 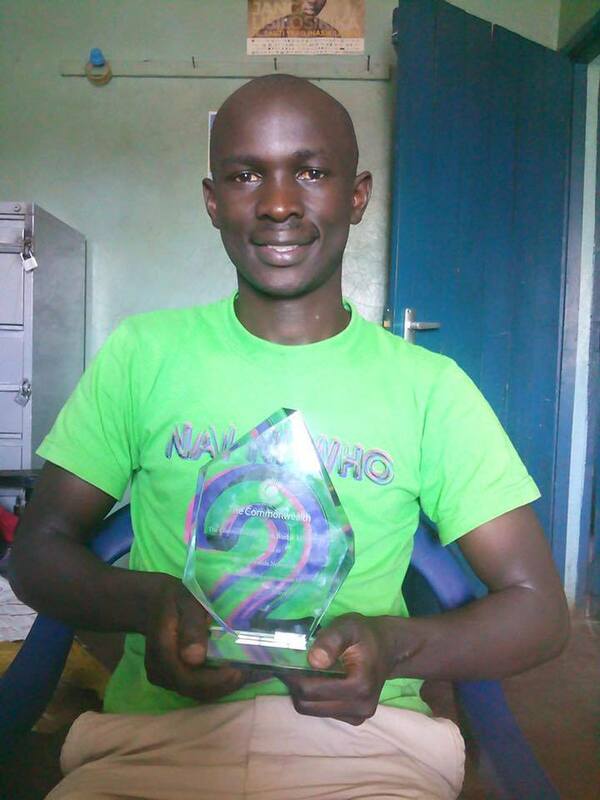 One of the foundation’s volunteer teachers, James Otieno, also was a runner-up in theCanon Kenya Photography Awards. 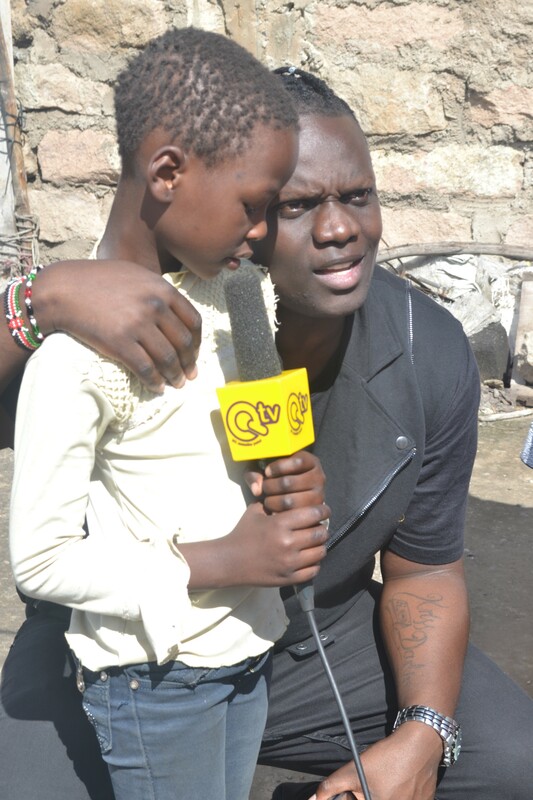 The Mathare Foundation’s work is not without its challenges, and inevitably, funding is a consistent problem. They are dependent on the generosity of donors. 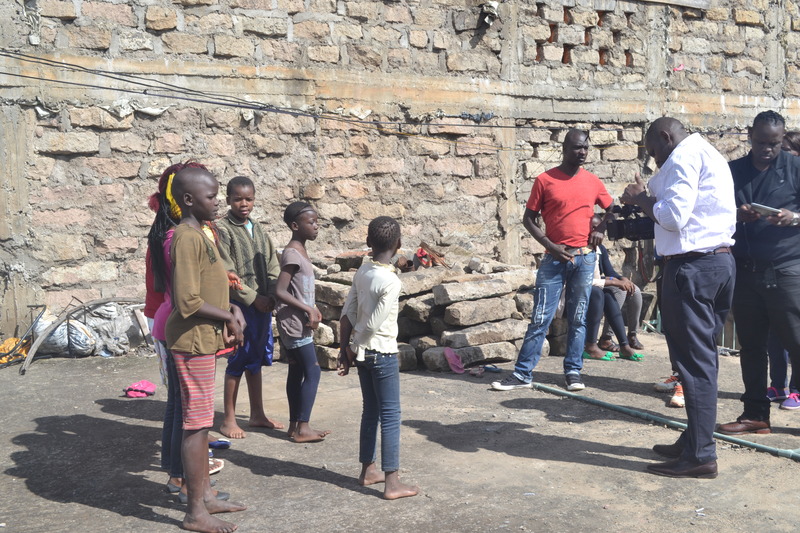 Despite this, the Mathare Foundation endures, and serves as a chance for children from the slum can meet like-minded people. “It is a second home for the kids,” says Omwanda. Omwanda is also hoping to organize the Slum Kids Festival, a week-long event that not only would celebrate the work of his students (and award scholarship prizes), but to ward kids off the various dangers prevalent in Mathare: drugs, crime and alcohol abuse. His ultimate hope is that his students can use the skills they learn to secure a job, perhaps in a newsroom or freelancing. 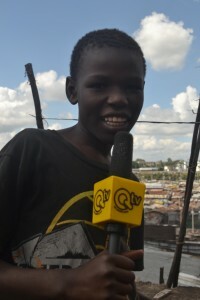 At the very least, Omwanda wants them to be positive role models, and inspiration for other kids in the community. “I want them to become ambassadors of peace,” he says. Youth workers from eleven countries – Australia, the Bahamas, Fiji, Ghana, Jamaica, Kenya, Malta and Nauru, Pakistan, Sri Lanka and Uganda – were named as the National Finalists of the 2015 Commonwealth Youth Worker Awards.. Among the National Finalists was the founder of Mathare Foundation, Eric Omwanda based in the Mathare slums of Kenya. Eric inspires the young people with a mechanism to channel their talents through photography and divert them from crime, alcoholism and prostitution.